Yesterday I babysat a 4 & 2 year old, by myself, I was EXHAUSTED by the evening when I got home. I literally laid down on the couch with my coat on and fell asleep. I don't know how you momma's do it but I have a whole new respect for you all! Especially you active momma's who work, workout AND take care of those babies!!! I am def not ready for all that yet! Happy Birthday to Little Stud #2 and congrats Tall Mom on being such a rockstar momma! When you've gotta go, you've gotta go - and sometimes you don't make it! And I Love the analogy... good reminder that change is often hard, and that sometimes the things that are the most challenging to take on have the biggest rewards. You really did do an amazing job bringing these 2 topics together. Happy Birthday to Little Stud #2. Mine boys are 4 and 2 and I cannot believe that they are that age. Time is funny...It is shocking that my kids are those ages, but yet is seems like AGES since they were born and little babies. I got back into running a bit like you...always had run, but after many moves and a challenging 2nd baby I needed something to focus my energy on else I was gonna lose it big time! Beautiful post, Mel. Brought a tear to my eye. Happy birthday little one!!! I got teary!! Thanks for this post. I loved it. Hope your "baby" has a GREAT birthday! I have two boys 22 months apart. They are 9 and 7 right now but oh do I remember the early days. Having a 22 month old and a newborn is a lot of work. My husband still teases me because some days early on he would come home and find us all in tears! I love the age difference now. They play so well together and are interested in the same things. Running has helped create many better moms out there. You've come so far in just three years! Thanks for inspiring me to get out the door this morning and hit the track for the first time in months. Happy Birthday to your little buddy and my 14 year old baby today too! Perfect timing on this post. I'm struggling with this, immensely. Very nice post. Happy Birthday to your little one. What a coincidence, I have a little stud of my own who turned 4 today! Awesome post! Thanks for the "mom" motivation. I have a 10 month old and I think that is a struggle enough...2 is going to be a killer!! Awww. You running mama's out there floor me with the balance and effort you put forth to train and be there for your famly. Amazing. I like how MOM was capitalized in this post title! For some reason, this made me a little chocked up :) I really think your boys are at great ages. SO FUN!! happy birthday to your little stud. I started running after the birth of my second son as well! I love this post! Happy Birthday to your littlest man! Love the analogy between parenting and running! I'm going to relate potty training to running your first race. All the training you do leading up to it is the transitioning to pull ups stage, then the big race day whether its a 5k, half marathon or a marathon, it's like using the toilet for the first time. Then you get your medal, which in potty training lingo would be you get to wear you big boy/girl undies. Bad analogy? haha it's all I could come up with. Potty-training is like a marathon. Sometimes it feels like it.will.never.end. Great post today too! 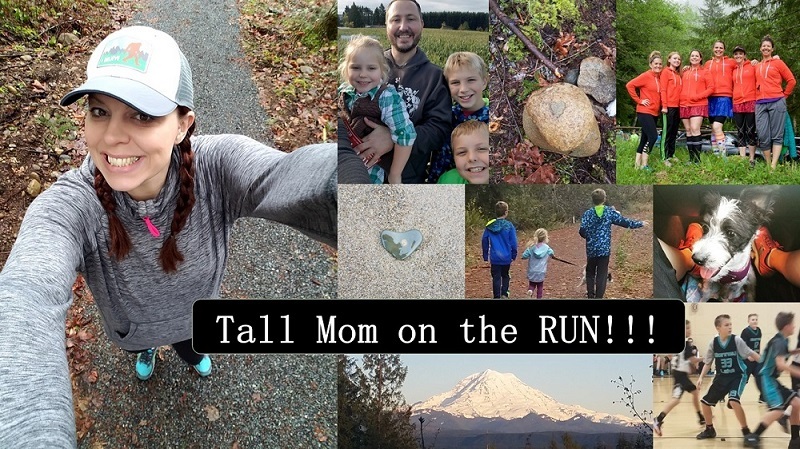 I've always felt the tug and pull relationship between being a mom first and runner second. But, through time, I've realized that I AM a better mom because of my running. I run not because I'm especially good at it. I run because it's good for the soul. And that, in the end, makes all those early mornings and long days spent in your sweaty running clothes worth it! Happy Birthday to him and happy giving-birthday to you! 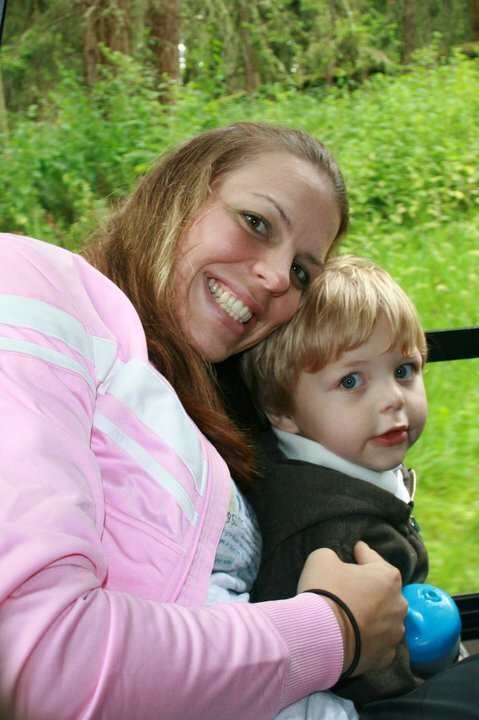 i started running after my 2nd boy was born...11 years ago...time flies by so fast...and running has saved us all many a days... :) it's the best thing ever to help mommyhood be that much better!!! i have a ton of respect for woman who work, have children and take care of a family. it's not easy to fit in running w/o kids, so kuddos to you!! I also took up running about 8 mths after my 2nd child was born! I totally relate to everything you wrote. It saved me from the craziness that came with "2". Hope your little guy had a great birthday! I totally understand! We have the same story for running (well except you have been running longer and are better at it!!) Anyway I had my son in May 2010 - and started running about two months after he was born cause I needed something to get away from my whole life being guilt trips - between working full time, spreading my time between both boys & hubbie....I now love running - even though I am still just barely getting the hang of it. New to your blog and love it! Congrats on #1 - I'll totally go with it being in order! !